One of the hottest area rug lines for the past few years is the Magnolia Home by Joanna Gaines Area Rug Collection. When you watch some of the shows that Joanna Gaines is the design lead on, you are sure to see her area rug collections making appearances throughout the room designs. 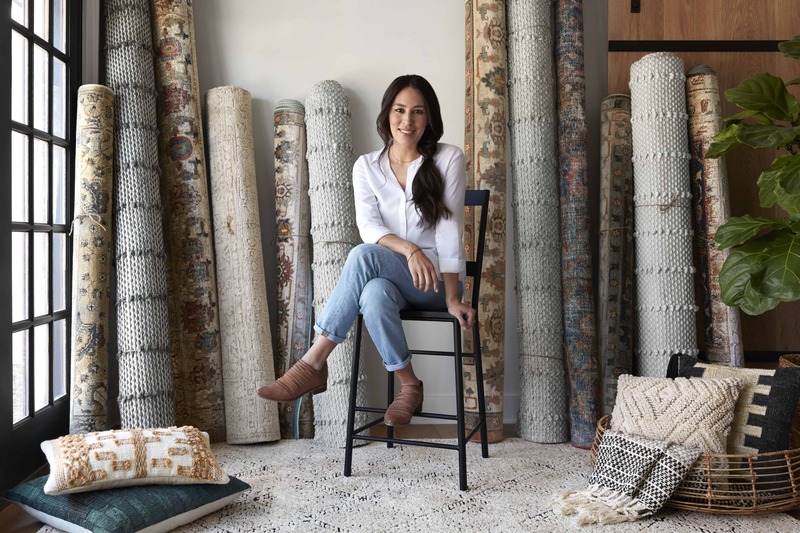 The area rug collections themselves are by Joanna Gaines and crafted by Loloi. The Magnolia Home line is a thoughtful curation to inspire you to love the home you’re in with collections that are beautiful, purposeful, and suit your unique style. 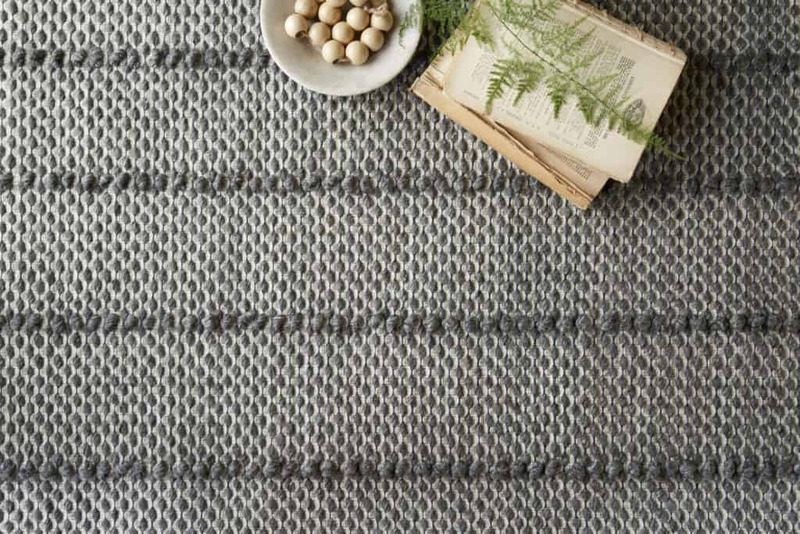 Each of the New Magnolia Home Area Rug Collections appeals to a range of styles complementary to one another, simplifying the design process so you can focus on creating a home that truly reflects your story. The Lotus Collection is a customer favorite. 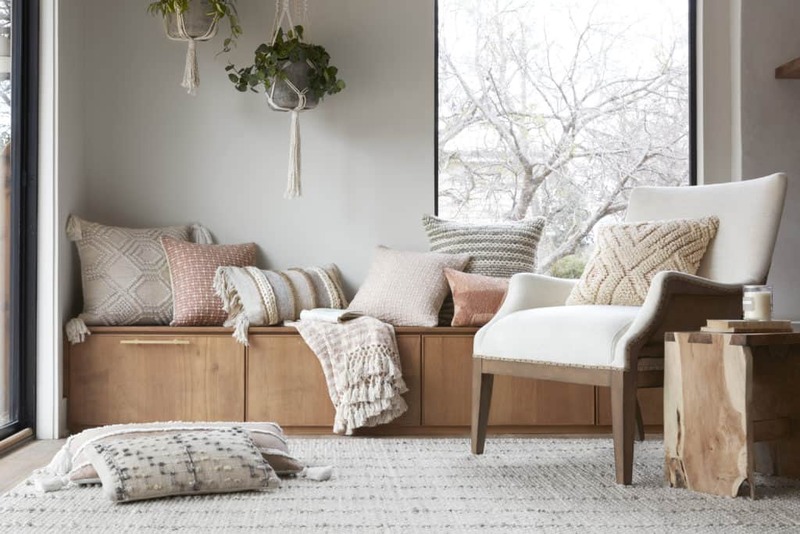 With the addition of some new styles within the collection, we are happy to see the Lotus Collection from the Magnolia Home by Joanna Gaines Collection on the new addition list. In collaboration with Joanna Gaines for Magnolia Home, the Lotus Collection combines the comfort of plush microfiber with high contrast, striking patterns, as a result, this functional and stylish collection will be a statement piece in your home for years to come. 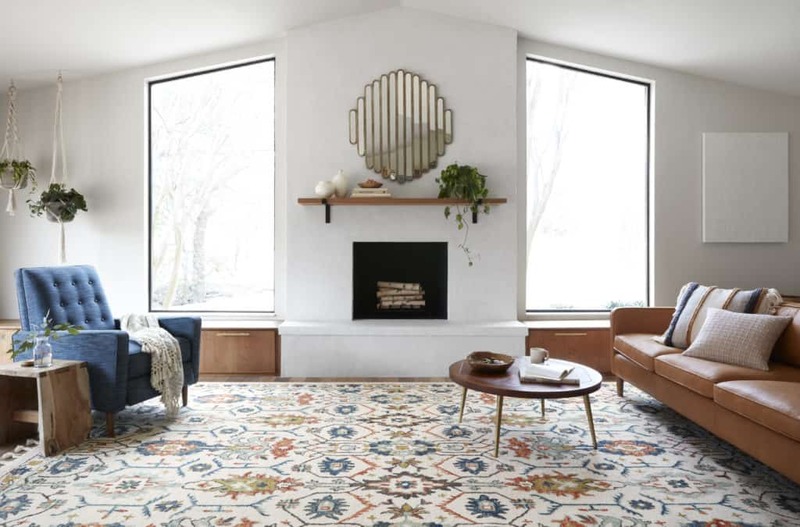 A newer addition to the Magnolia Home by Joanne Gaines Area Rug Collection is the Lucca Collection, which made its debut in 2017. 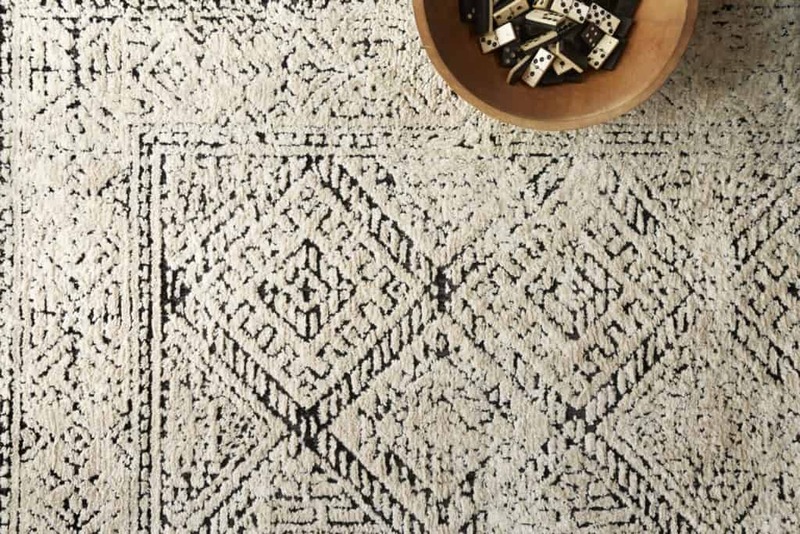 The Lucca Collection is the most advanced rug-making technology. The coveted look of rich reds, deep blues, and sheared texture once only offered by high-end antique dealers is available. It is available at a remarkably affordable price in the Lucca Collection for Magnolia Home by Joanne Gaines. What’s more, it’s predominately cotton fiber – with touches of polyester – ensures long-wearing durability even in the busiest rooms. This beautiful collection also has several new additions within the 2018 releases. The 2018 Spring Collection release also includes new collections that we are very happy to share with you! Each collection is unique in name and style. Here is a look at the three new collections from the Magnolia Home by Joanna Gaines Area Rug Collection. First, we have the Elliston Collection. Textured and tonal, the Elliston Collection for Magnolia Home by Joanna Gaines is a versatile rug for any space. Furthermore, these timeless pieces are hand-woven by artisans in India of wool and polyester, ensuring long-lasting durability and refined subtleties. 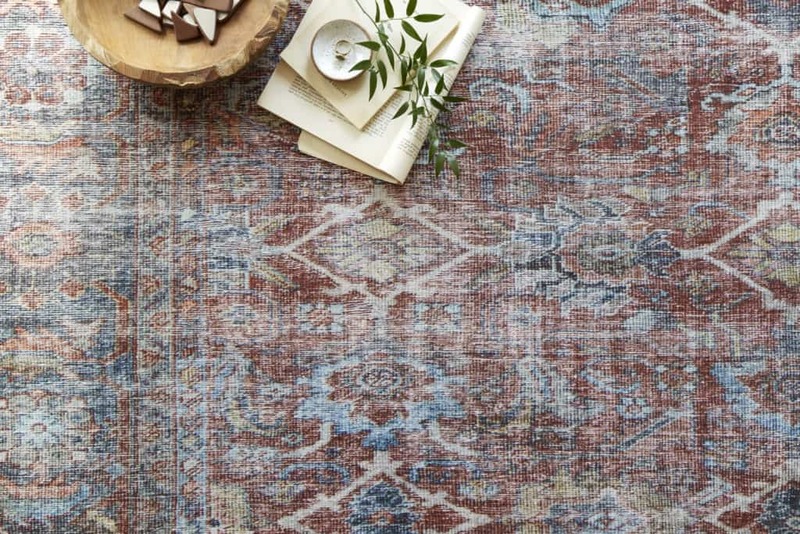 Another collection that we would like to introduce you to, from the Magnolia Home by Joanna Gaines Area Rug Collection, is the Evie Collection. 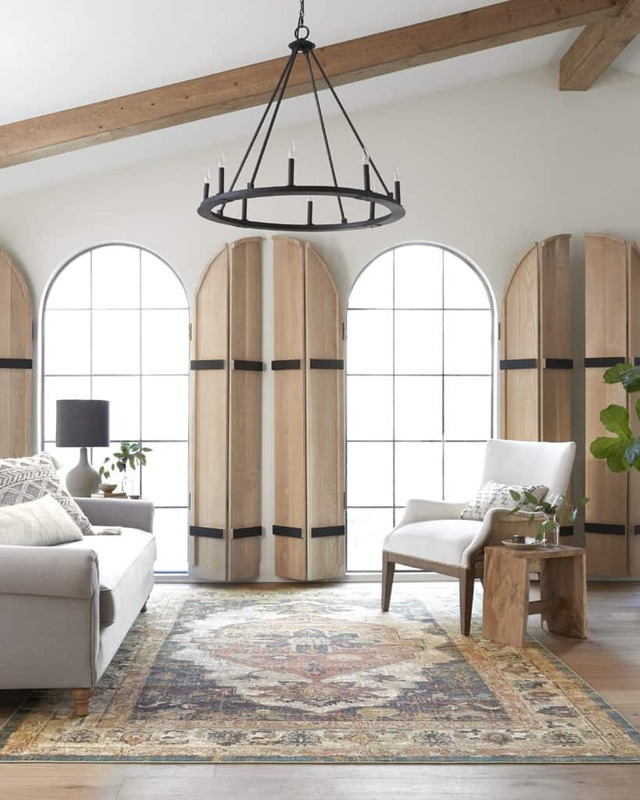 The Evie Collection for Magnolia Home by Joanna Gaines features traditional designs, completely reimagined for today’s interiors. Because these durable pieces withstand foot-traffic in any space, they will retain color for years. 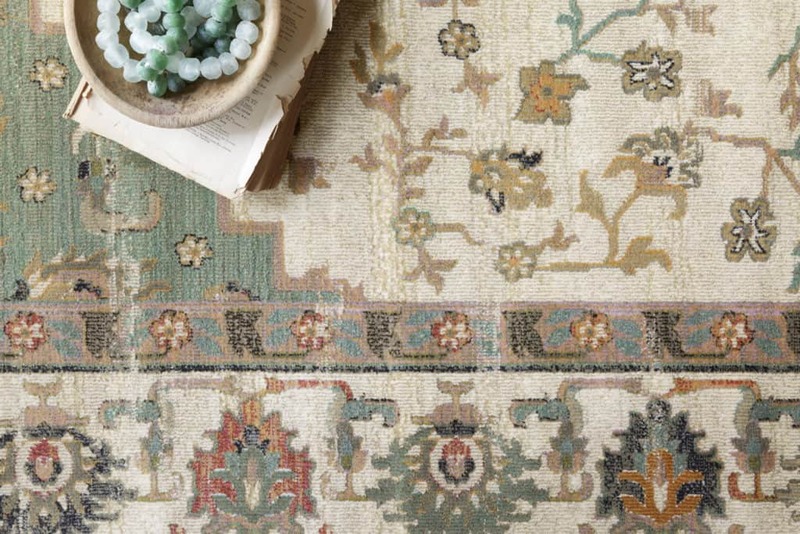 The last collection from the Magnolia Home by Joanna Gaines Area Rug Collection that we want to share with you is the Kasuri Collection. The Kasuri Collection is a fresh take on traditional East Indian fabrics. 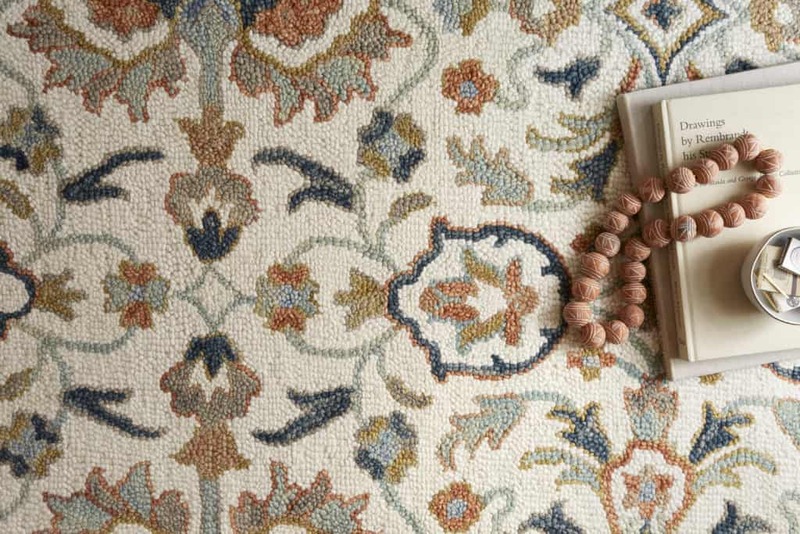 Colorful with patterns, the Kasuri Collection for Magnolia Home is 100% wool, hooked by skilled artisans in India. Finally, each piece is embellished with 4″ tonal braided tassels for a relaxing detail finish.